File originally uploaded did not include bsas as it should have. Reuploaded file with bsas. This should fix the Strange Device CTD issue. Please note: this is a debugged* direct port to SSE of the original Skyrim mod. This is the quest version! KakerMix completed the port to SSE with EnaiSiaion's permission. I fixed two bugs in that port with EnaiSiaion's permission (14 Sep 2017) and reposted it here. Thanks to Styllian for advice. It is marked v1.01 to distinguish it from KakerMix's port. 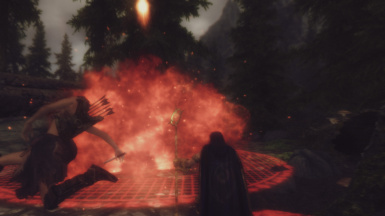 These fixes make the mod playable in SSE without crashing. 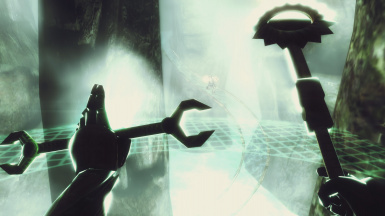 The two sources of bugs which caused CTDs were underscores in SSE port cell names and the spell Dwarven Sphere Meld. I don't have the skill to fix Dwarven Sphere Meld on my own so I simply removed it in CK. * 25 April 2018: one user reported CTD issues with the Centurion meld also. I am extremely busy IRL and do not have time to address this. I recommend not using any Meld spells. 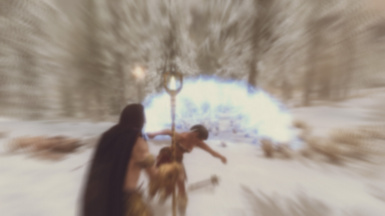 ** EnaiSiaion has stated he will no longer support this mod, and there will be no forthcoming updates. 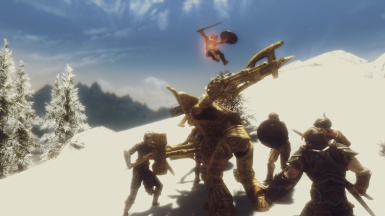 The text below was copied from the original Skyrim version mod page. 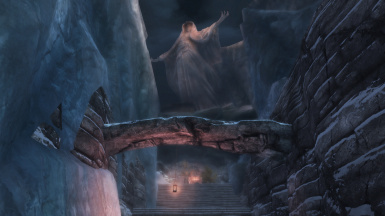 Some features may not be available in SSE. 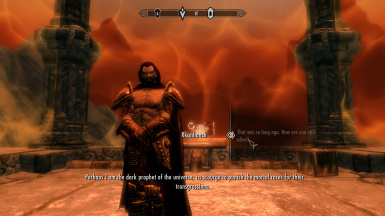 Dwemertech features a questline with several voiced characters revolving around the planned return of the Dwemer to Nirn. Your rewards for intervening are 42 unique Alteration, Destruction and Restoration staves and associated spells and 14 bionic upgrades. Playtime 1-3 hours. 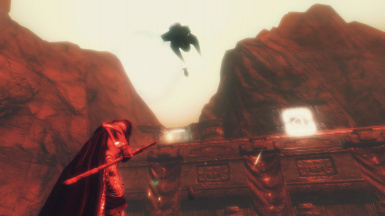 42 all new custom Alteration, Destruction and Restoration spells. Questline based on expanded TES lore. 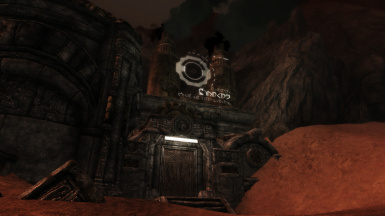 An epic Dwemer base set on Masser. Configuration options available in the Dwemertech MCM if SkyUI is installed (SkyUI not required to use Dwemertech). 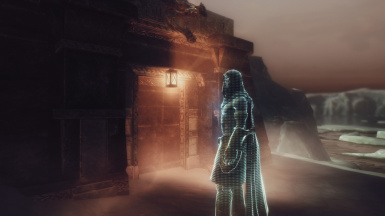 The quest is designed to blend in with the vanilla game and features advanced mechanics and voiced actors with their own custom gear, set in and around a highly advanced Dwemer outpost on one of Nirn's moons. When you reach a certain point in the quest, you can purchase schematics from Cuomac. Schematics are used as base materials to create mechanical staves at a Forge. Staves can then in turn be converted into transcripts, which are the technological version of spellbooks. You can also purchase bionics, which grant a permanent passive bonus when used. 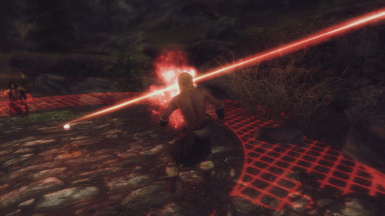 Upon completing the quest, enemies may periodically teleport to Nirn in random places when you use Dwemer spells. Deal with the disruption for a nice reward. 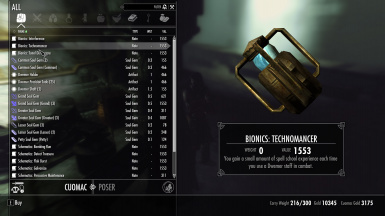 By using certain bionics, you can trawl Dwemer ruins, find scientifically interesting objects and beat the valuable components out of them. Note: You can only buy schematics and bionics up to your corresponding skill level in their respective school: Alteration, Destruction or Restoration. To buy better schematics and bionics, get better at magic! Spell descriptions can be found in the Readme. 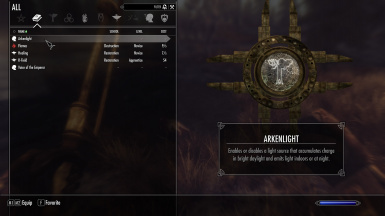 This versatile light power can be picked up during the questline. It charges up in bright daylight and slowly discharges itself in darkness and indoors by emitting light with a colour of your choice. 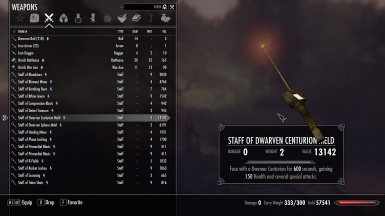 Dwemertech is compatible with spell scaling mods. 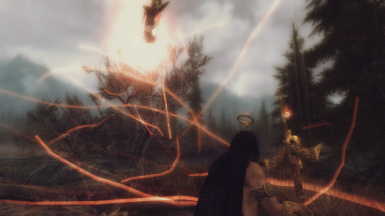 Dwemertech is compatible with mods that add new spells. 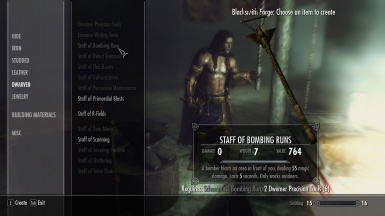 Dwemertech is compatible with mods that modify spell vendors. 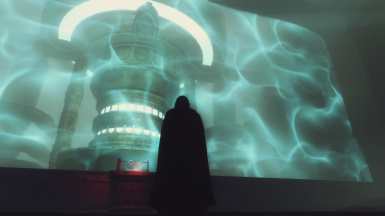 There is no map on Masser: In order to cram the mod into the allotted 100 MB of Workshop space, I was forced to get rid of some high resolution LOD files, including the very heavy map files. Why can't I buy most of the spells: You need a high enough level in Alteration, Destruction or Restoration to buy high level spells. Also remember vendor restock delays, and don't forget that cheating with setav doesn't work. 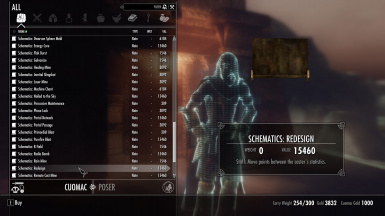 My framerate drops after I get teleported: ENB seems to have a glitch and may not be able to cope when the player character is moved around by scripts. You may also notice broken shadows. Fast travel fixes it, and perhaps a future ENB update will resolve the issue. 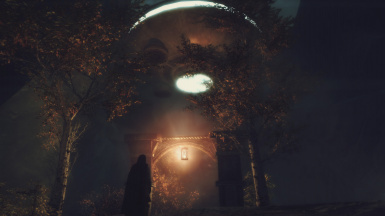 It is hard to see due to an excess of bloom: Certain ENBs exaggerate bloom to the point where even a slight amount of ambient bloom will wash out the picture. Press Shift-Enter and turn off BLOOM in the ENB settings. Rkunhanch threw me around, how to proceed? 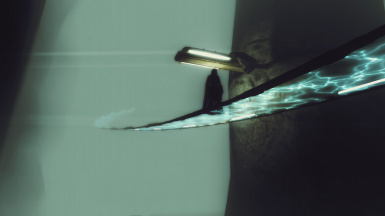 If I go back in through the door, I die: He is supposed to grab you with telekinesis and eject you onto Masser. It appears that certain physics or skeleton mods make every actor weigh several tons, and as a result he cannot throw you hard enough and you are stuck inside the base. If this happens, type tcl into the console and clip through the forcefield out of the base, then proceed from there. I was told Rkunhanch is up to no good, but there's a laser wall blocking the observation room: He is not supposed to be in the observation room. He is supposed to have been reset to his spawn point, but the game sometimes ignores this command. It is unclear why, but it does not appear to be a bug in the mod. Players with this issue all seem to have slow script execution due to many active scripts (including remnants of uninstalled mods), which may stall the script long enough for it to break. I was told Rkunhanch is up to no good, but I arrived before him and nothing happens: He runs faster when you do, so you are not supposed to overtake him. If you enter the reactor room before he reaches it, the quest breaks. Congratulations on being too clever!